Also known as glacial age, the ice age represents an unprecedented period of long lasting dip in global temperatures and major glacial expansions around the world. During such expansion, a major part of the earth gets covered in an ice sheet for an extended period of time (on occasions, for millions of years). Even though we knew that the humans were able to survive the last ice age, any further detail on the nature of such glacial era was a mystery to us. But the efforts of geologist Louis Agassiz and mathematician Milutin Milankovitch have helped us to understand the very nature and cycle of such ice ages. Now we know at certain periods of time in the history of the earth, massive glaciations had occurred on a global scale. Following the suit, here is a list of top 10 things you should know about the ice age. 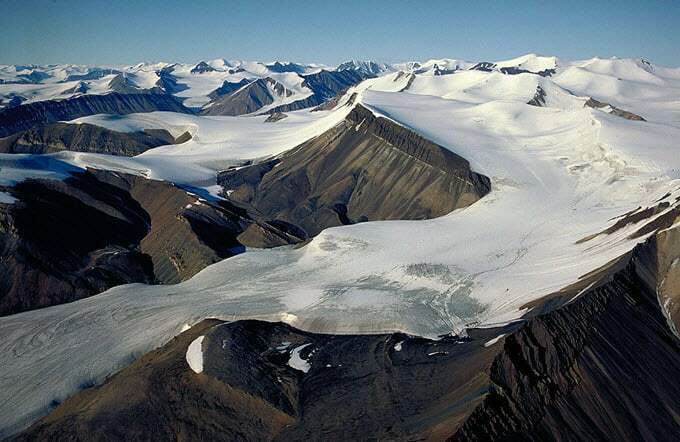 The massive glaciers found around the world are not only the biggest resource of fresh water on planet earth, but they are also relics left from previous ice ages. In the simplest terms, once ice ages subside and every sheet of ice melts away, the glacial ice in most parts of the world still remains intact. At present, around 10% of the earth’s surface is covered in glaciers. But not so long ago, in the last ice age, the glacier covered as much as one third of the entire earth’s surface. The glaciers were of different sizes – many were about the size of a football field and some huge ones span over the length of hundreds of miles. In fact, the ice sheet that surrounds Antarctica is actually a glacier itself and it has been in existence for the last 40 million years. The occasional avalanches in the Himalayas may be a routine affair, but these majestic mountains are generally not associated with weather change on a global scale. The extensive researches made by geologist show that the rise of Himalayas might also have led to the rise of major ice ages in earth’s history. The Indian and Tibetan plates had been at each other for millions of years, giving rise to the colossal Himalayas, and the majestic Tibetan plateaus. This constant drive not only changed the earth’s topography, but it might had also initiated massive monsoons in Asia about 8 million years ago. Furthermore, when fresh stones were added to the topography as the mountain range rose, the chemical erosion took away a significant amount of greenhouse carbon from the atmosphere. This directly led to a number of ice ages that began about 2.5 million years ago, along with the rise of the Himalayas. During the Pleistocene Era, which started somewhere around 1.8 million years ago, a series of ice ages occurred. The ice age also saw the rise of giant sized animals and birds – modern biologists call them Megafauna. Some of these prehistoric megafauna survive to this day in form of Elephants, Giraffes and so on. There were many other gigantic animals that thrived during the previous ice ages, but eventually died out. For instance, Glyptodon looked like a super-giant iteration of present day armadillos. Mastodons, Mammoths and the Saber tooth tigers that not so long ago reigned in the plains of North America. The fact that a thriving population of such majestic megafauna went extinct of a sudden around 10,000 years ago still puzzles scientists today. Extended researches have attributed their disappearance to rapid warming periods that occurred towards the end of last ice age. At the same time, the rise of human population and their hunting spree on surrounding megafauna for food and leather also further paved the path to their extinction. In between large scale ice ages, several ‘little’ ice ages appear from time to time. These mini ice ages were not as destructive as the major ones, but they are still capable of causing famine over a significant area of habitable land. 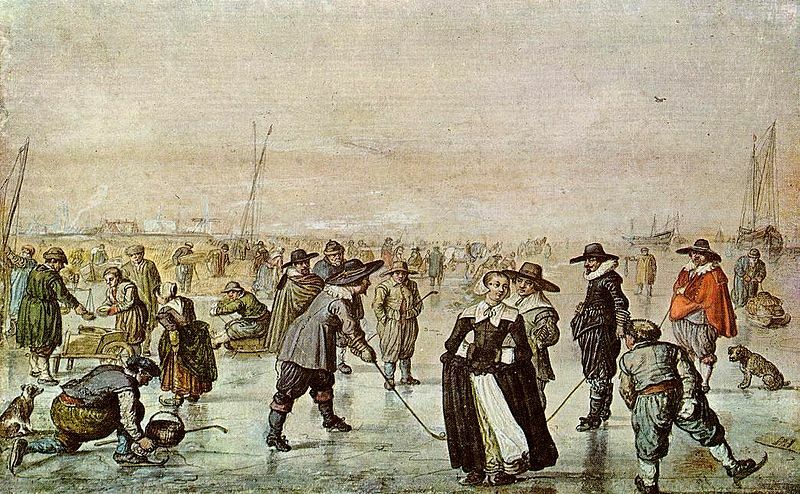 The last of such mini ice was recorded in the 14th century – especially in Nordic regions of Europe. This mini ice age was responsible for an unprecedented period of extremely cold dips in temperature over the Northern Hemisphere. It also brought with it repeated plagues, famines and general gloom among inhabitants. In fact, there were extended periods of time without any summer and adverse climatic conditions only further dampened daily life. This might explain why the general aura of the dark ages is so gloomy. The universal cause behind such mini ice ages is yet to be proposed, but scientists attribute the last mini ice age to a sudden drop in solar energy. It is a general notion that major and mini ice ages occur after a certain interval of time which is more or less regular. But if we consider the alarming rate at which global warming is affecting our environment, the natural cycle of regular ice age might get altered significantly. In fact, according to scientists, if we follow the natural cycle, the next ice age should appear within the next 1500 years. But worldwide greenhouse emissions have been so high that this cycle has been significantly pushed back. 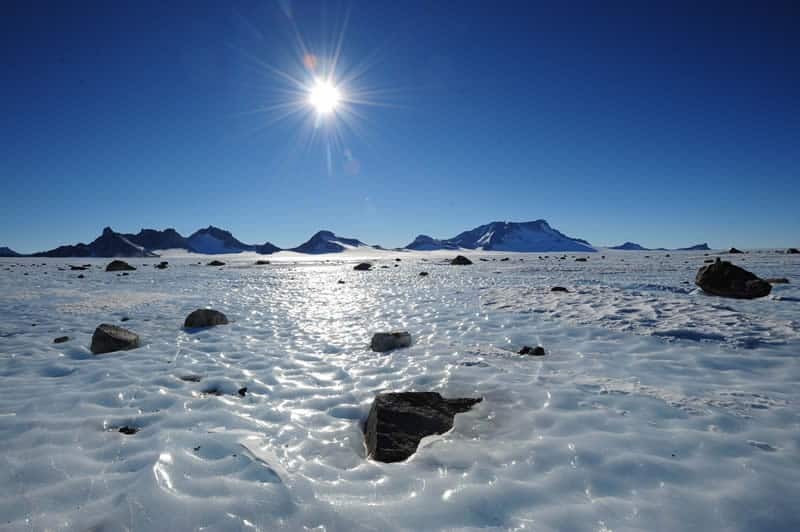 As it happens, even though ice ages are naturally occurring phenomena, they require an extended period of time with exceptionally low levels of carbon dioxide in the atmosphere. With the rate at which global warming is happening at present, the chances of such incredible dips in carbon dioxide are next to none. Scientists believe we have thrown the ice age cycle so far off that even if all excessive carbon emissions were stopped today, the next ice age would occur at least 1000 years of schedule. By the time the last Pleistocene ice age started, all major continents had moved into their present positions. When the ice age was at its peak, the contemporary topography could not have been more different than the one today. It was so different that the Hawaii islands were actually covered in glaciers around 18,000 years ago. Entire Antarctica was covered in massive ice sheets which sounds obvious, but so where large areas of Europe, North America, South America and certain parts of Asia. 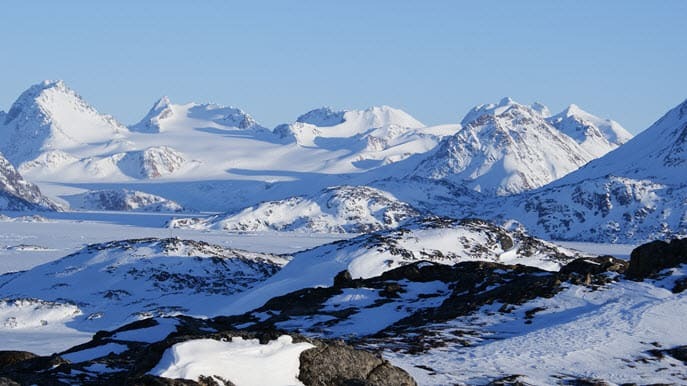 The entire Pleistocene epoch saw at least 20 different glaciations phenomena within it – a cyclic period of extreme freezing and receding of ice sheets. When periods of freezing extended, these ice sheets would cover almost all of Northern America and Canada, and then stretch over present day Greenland. 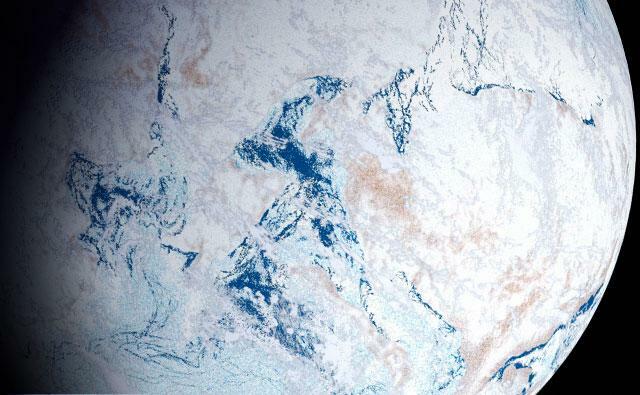 Scientists estimate that at least 30% of the entire earth’s surface was covered in ice. But again, this much glaciation does not even come close to some ice age glaciations that had occurred well before Pleistocene epoch. First of the immediate modern humans – the Homosapiens showed up in Africa about 100,000 years ago and they started to truly thrive only about 10,000 years ago. In between these two points in time, they had to go through a Herculean ordeal of surviving an adverse and inhospitable environment for thousands of years. Unlike other contemporary megafauna, the humans were neither huge nor furry enough for natural insulation from cold, but they were able to use their inventiveness to cope against some of the harshest climate. They were able to bear the brunt of the lowest temperature from the last ice age, especially around 25,000 to 15,000 years ago, when the mercury dipped bone chilling low. 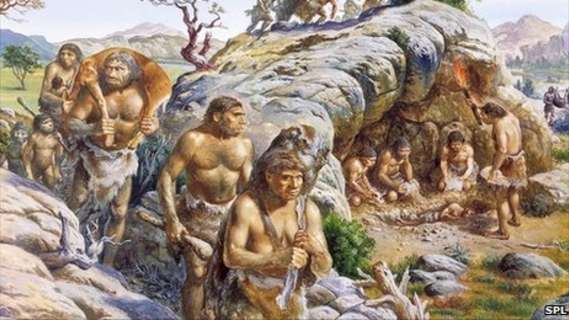 They were fast learners – they built warm shelters from mammoth bones and used animal fur for protection against cold. Since the origin of earth and then the subsequent evolution of life, planet earth has witnessed at least five major ice ages in the entirety of its history. Now a normal scale ice age happens periodically in between such large scale glaciations lasts somewhere between 44,000 to 110,000 years, but if we track back to one of the earliest major ice ages, we find the biggest and brawniest of them all – the Huronian Glaciation. It was the longest recorded ice age in earth’s history in which the planet witnessed global scale glaciations in a period between 2400 to 2100 million years ago. It occurred for such a long duration that it expanded over two geological periods in Paleoproterozoic era. Then there was Cryogenian ice, which lasted for more than 200 million years. The Karoo ice age went on for another 100 million years. The lasted of them all – the Quaternary ice age started around 2.5 million years ago and is still going on. We already know, around 30% of the earth’s surface was covered in ice in the last ice age. Even in the most severe glaciations, only around a third of the earth is covered in massive sheets of ice. 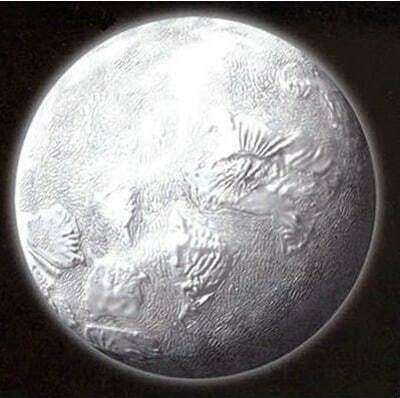 But again, on more than one occasion, the entire earth’s surface is known to have been smothered in ice – giving it the moniker of snowball earth. The glaciations in such periods have been so severe that the furthest corners of the world were deep frozen in ice. And the earth resembled a massive woolly ball of snow when observed from outer space. Other than the length of the ice ages, one of the more famous one is probably the Sturtian/Marinoan glaciation that lasted from 710 to 640 million years ago. In fact, this particular ice age saw such unprecedented scale of continental glaciations that even regions around the equator had massive glaciers. In fact, on a global scale, the average temperature used to be below -30 °C – that is even colder than present day Antarctica. During such event, only saline life was able to survive in hydrothermal vents below massive ice sheets. Water below these massive sheets was relatively warmer and occasional sunlight was able to penetrate enough to make photosynthesis possible. The prospect of when the next ice age might hit us is both intriguing and spine-chilling at the same time. Rising levels of greenhouse gases might have thrown the natural glaciation cycle off balance, but recent researches state otherwise. According to scientists, there is quite a possibility that a mini ice age might happen around 2030. The solar activity is getting eerily similar to one that occurred during the last mini ice age of 17th – 18th century. Since we can now predict solar cycle with greater accuracy, the prediction model depicts that solar activity will fall by around 60% within a decade of 2030. If we follow the subsequent natural process, this will lead to significant dips in global temperature, especially in areas other than the equator. But there are many who oppose this possibility with the argument that even if the solar radiation enters into levels of previous mini ice age, the warmth from man-made greenhouse gases will effectively thwart off any chances of mini glaciations. Since, most of us are more acquainted with the recent ice age only, the general notion revolving around global scale glaciations is usually limited to a few 100 thousand years, but major ice ages had been ravaging through planet earth since billions of years. Whenever there has been extended periods of low solar activity and continuous dips in global levels of carbon, there has been inevitable dips in temperature all around the world leading to yet another ice age. The present level of global warming might possibly have thrown the next imminent ice age far off schedule, but again, nature always has the last say.